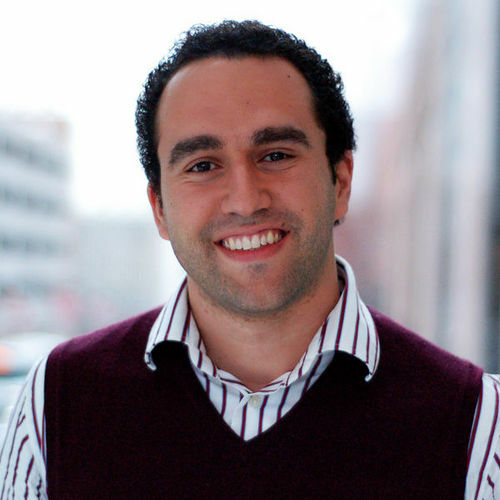 Haytham Elhawary’s two great passions are technology and entrepreneurship, and he’s a big believer in NY being a hub for the hardware startup community. He is currently the cofounder of a wearable tech company (and hardware Mentor in Residence at Indiegogo’s technology and design vertical), and was the director of the Zahn Center for Entrepreneurship, an incubator focused on startups that make physical products. He was also Mentor in Resident at R/GA powered by Techstars Connected Device Accelerator for their inaugural session. And yes, let’s not forget that he is the founder of the NY hardware startup meetup, where he brings together a strong community of people eager to build businesses with physical products, be it a cold fusion engine or a bionic fork. His day jobs have involved research in robotics and medical devices both in an academic setting and in industry. In fact, he currently holds 18 patents and patent applications, and 36 publications. His side jobs tend to involve all things start-up related. He was also program leader for the Startup Leadership Program’s NYC chapter. He was educated at Imperial College, London (PhD, Mechanical/Biomedical Engineering) and has audited MBA classes at Harvard Business School, MIT and Imperial College Business School.